Trainwreck – The Quintessential Single Ladies Film! Amy Schumer is not a household name in Australia just yet, but after her first movie debut titled Trainwreck she will be. Amy stars in this hilarious movie as a journalist of sorts working at a tacky men’s magazine where they run stories like “the 10 ugliest celebrity babies under 6 years old” and seems to actually enjoy writing them. She sleeps with whoever she wants, whenever she wants, as many times as she wants and believes monogamy doesn’t exist, thanks to her bitter alcoholic father (Colin Quinn) who told his little girls at a very young age to basically “screw around and have fun”. Amy is assigned to write a profile on a sports doctor named Aaron (Bill Hader) and ends up accidently sleeping with him after realising there was chemistry between the two. In her world, this is where the date would end, but to her shock, he phones her the next day and wants to actually see her…again?? Even if you think you know where this movie is going, you might be pleasantly surprised. With Judd Apatow behind the camera, you can at least be sure for some laughs, and single ladies, I think this one’s for you! 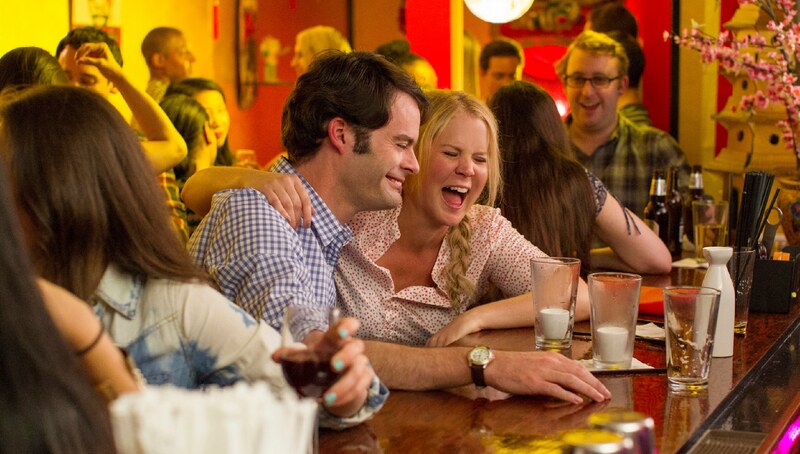 Trainwreck is released in Australia on 30 July! This entry was posted on Monday, June 1st, 2015 at 11:40 pm	and posted in Uncategorized. You can follow any responses to this entry through the RSS 2.0 feed. « Ari and the boys are back with Entourage – The Movie!